Up until senior year, Greg has maintained total social invisibility. He only has one friend, Earl, and together they spend their time -- when not playing video games and avoiding Earl's terrifying brothers -- making movies, their own versions of Coppola and Herzog cult classics. Greg would be the first one to tell you his movies are f*@$ing terrible, but he and Earl don't make them for other people. Until Rachel. Rachel has leukemia, and Greg's mom gets the genius idea that Greg should befriend her. Against his better judgment and despite his extreme awkwardness, he does. When Rachel decides to stop treatment, Greg and Earl make her a movie, and Greg must abandon invisibility and make a stand. 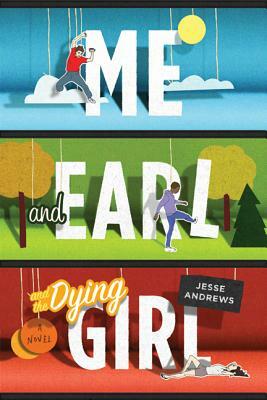 It's a hilarious, outrageous, and truthful look at death and high school by a prodigiously talented debut author.